55693 OBL GERMANY (1905) Auto exhibition. 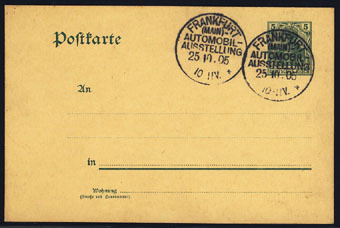 Postal card with circular cancel for Frankfurt Auto Exhibition 25.10.05. 77271 ENT GERMANY (1930) Old automobile. 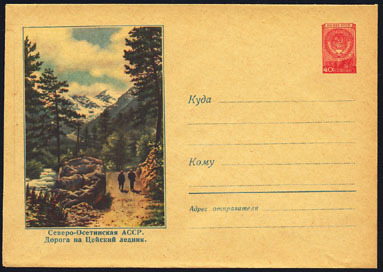 Postal card (N) with perfin "DRUCKPROBE" (specimen) and corner illustration. 55697 EMA GERMANY (1931) Auto union. 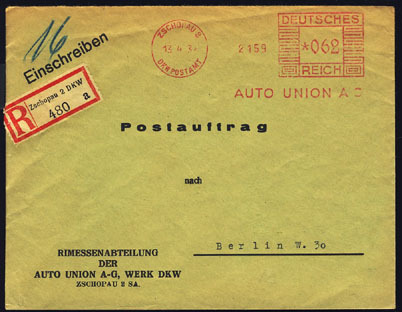 Red meter cancellation on No 2159 envelope "Auto Union A G."
77381 ENT GERMANY (1937) Autobahn*. 6+4 pf postal card with illustration of Hitler braking ground for the Autobahn in 1933 and completion in 1936. 72689 EMA U.S.A. (1938) Greyhound bus. Red meter cancellation on piece Pitney Bowes No 91930, "Greyhound's New Super-Coach - Triumph in Highway Transit!" 20784 EMA U.S.A. (1940) Bus*. Map of United States. Attractive red meter cancellation on cover Pitney Bowes No 95114: "Smart, Smooth, Thrifty. Travel to all America. Greyhound." 16606 EMA U.S.A. (1948) Automobile heaters. Red meter cancellation on piece Pitney Bowes No 93691: "South Wind Car heater, heats hot in 90 seconds." 29056 EMA U.S.A. (1949) Transmission. Red meter cancellation on envelope Pitney Bowes No 157789:Lindsay, Oberholzer & Co. For Power Transmission Phone Us...We usually have it. 29060 EMA U.S.A. (1950) Auto motors. Red meter cancellation on envelope CC No 8157:moto$aver. Dirty Motors Die young. 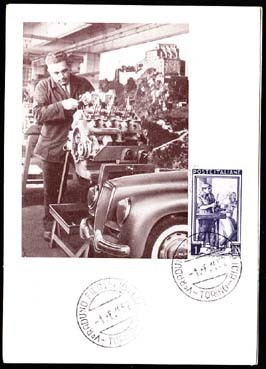 73249 MAX ITALY (1950) Auto mechanic*. Maximum card. Scott No 550, Yvert No 573. 73576 MAX GERMANY (1952) Nicolaus Otto*. Maximum card with First Day cancel. Scott No 688, Yvert No 35. 75th anniversary of 4-cycle gas engine. 77611 OBL SWITZERLAND (1953) Kandersteg BLS auto tunnel. Cancel on postcard of Kandersteg BLS, train transport of autos through Lotschberg tunnel. 77088 ESS MONACO (1953) Steam automobile. Sabre sports car. Trial color proof of se-tenant pair. Scott Nos J43,J52. Yvert Nos TT46-7. 71242 ND FRENCH WEST AFRICA (1956) Road construction. Imperforate. FIDES issue. Scott No 72, Yvert No 61. 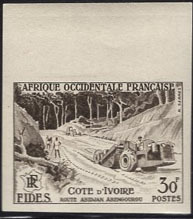 71243 ESS FRENCH WEST AFRICA (1956) Road construction. Trial color proof. FIDES issue. Scott No 72, Yvert No 61. 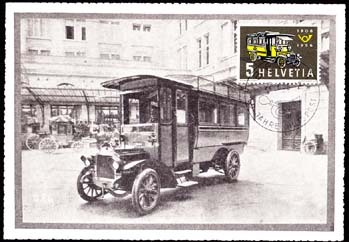 73274 MAX SWITZERLAND (1956) First postal bus*. Maximum card with First Day cancel. Scott No 355, Yvert No 572. 55537 ENT RUSSIA (1957) Car on road near Dilizhan, Armenia*. Postal stationery (N). 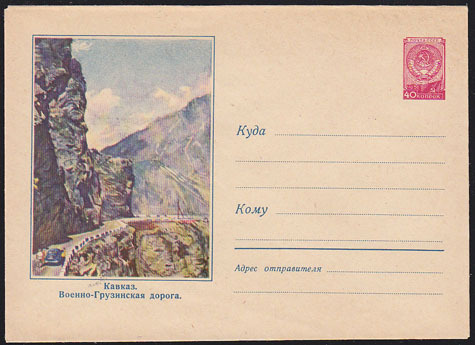 55563 ENT RUSSIA (1958) Men walking along road through mountains in Tseiskiy Lednik*. Postal stationery (N). 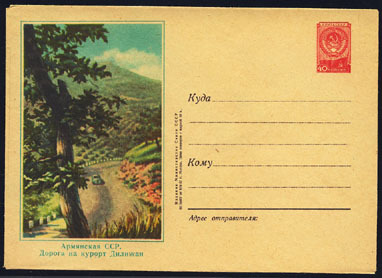 76063 ENT RUSSIA (1959) Georgian military road through the Caucasus*. 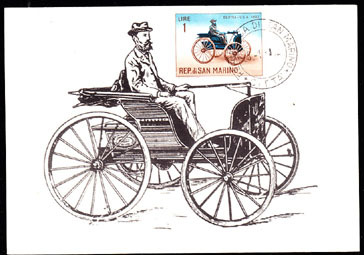 40k illustrated postal stationery envelope. 73371 MAX SAN MARINO (1962) 1892 Durea*. Maximum card with First Day cancel. Scott No 484, Yvert No 527.